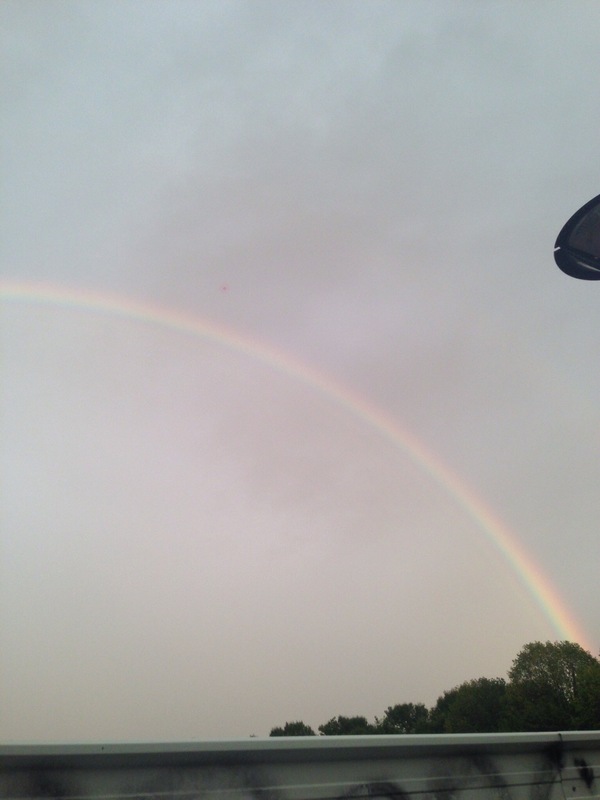 Yesterday was the first full day of competition for Reining, Dressage and Para-Dressage….and the heavens opened up to greet us with extremely watery & cold open arms. But no way was that going to dampen people’s enthusiasm. Tina and I spent the previous night working on our schedule for the next day. It goes without saying that trying to work with 3 different venues simultaneously is a sport onto itself. Sadly, we couldn’t foresee the traffic accident that happened on our way into Caen, which meant that we missed our first Reining athlete by about 5 minutes. But chef Lyne was able to fill us on on what we missed, which was a solid run by Josiane Gauthier who was the trailblazer for the Canadian Reining Team. Thankfully we did get to see Lisa Coulter’s run in the afternoon. With the exception of a slight bobble at the very start, Lisa also looked very solid. Next it was packing everything off, running to the car in the rain to get to dressage venue where David Marcus was busy preparing. We had already heard of Karen Pavicic’s personal best that morning, so spirits were certainly maintaining the high that Dressage has had since their training camp. After finding our “herd” in the National Federation seating section, it was a bit unnerving to see just how much water was sitting on the surface of the footing in the main competition stadium. And I think it may have actually started to rain a wee bit hard when David and Chrevi’s Capital emerged from the “chute”. But any butterflies we have had quickly vanished when he started his warm-up around the ring. The pair looked completely at ease and laser-focused on the task at hand. Although it’s unfortunate they had that break in the extended trot, it was so fantastic to see that it didn’t seem to phase either David or “Capi”. They completely shrugged off that one mistake, and got their head back into the game immediately….the irrefutable sign that they contenders on the world stage. 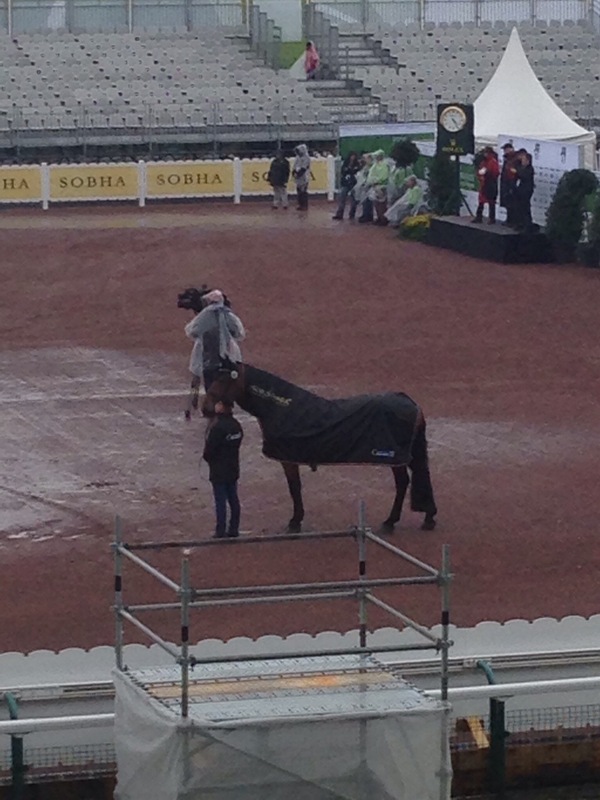 Sadly we had to then leave dressage once David’s ride was done to make our way onto our next stop – Para Dressage. We were greeted in the stable area by the ever lovely Roberta Sheffield who were the pathfinders in the morning. Roberta filled us in on her ride, and we then made our way to the main competition area so we could watch Ashley Gowanlock. 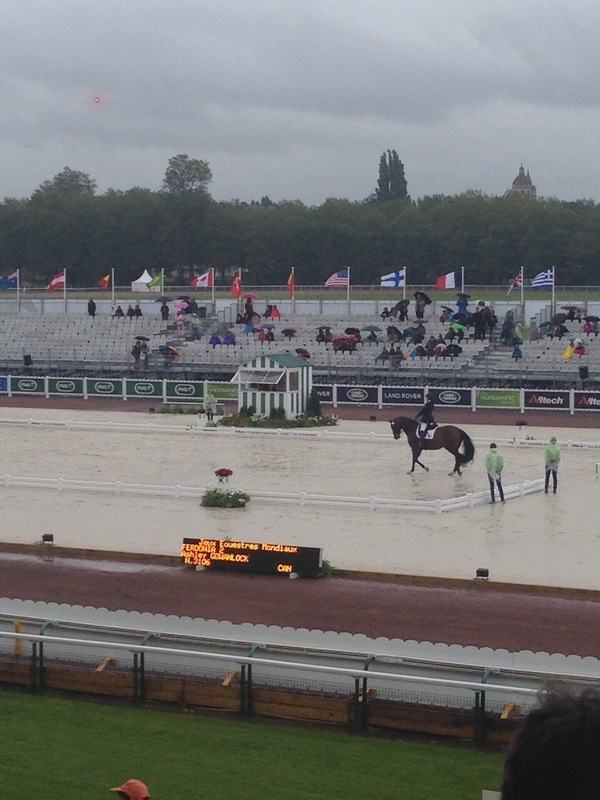 The rain was still coming down, and I have to admit that it surprises me that the FEI don’t mandate that Para competitions at the international level must take place in a covered arena (like Reining and Vaulting). Not that it slowed down Ashley, who put in a lovely elegant test. With all the rides done for the day, Tina and I were looking forward to finally grabbing something to eat before attending the 8:00pm Chef de Mission meeting. That’s when we learned a very valuable lesson. Restaurants in Caen don’t open until 6:30pm or even 7:00pm. Anywhere. And we drove, and drove and drove around Caen. Given that we only a baguette several hours earlier, we were famished. And cold. And wet. Suffice to say we were generally very disheveled with stomachs grumbling. After driving around town, we gave in and simply drove to our meeting area to forage for whatever we could find in our knapsacks. And on that bombshell….. till the next blog.